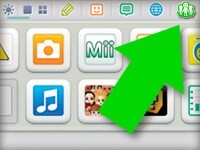 The HOME Menu is your portal to all of the amazing software on your Nintendo 3DS family system. Pressing the HOME Button during gameplay automatically pauses the game and lets you resume play later. Need to search the internet for gaming hints? Pause your game, hit the HOME Button, and open the internet browser* – then return to your game uninterrupted. You can use the HOME Menu to access a whole range of useful functions without quitting your game, like the internet browser**, your friend list, Game Notes, and your Notifications list for an incredibly user-friendly experience. **In order to use the internet browser you may be required to perform a system update of your Nintendo 3DS system.